1.1 These general conditions apply to every offer and every SaniOutlet.nl SaniOutlet.nl between consumers and negotiated agreement. The conditions are accessible to everyone and included on the website of SaniOutlet.nl. On request we will send you a written copy. 1.2 By placing an order you acknowledge that you agree with the terms and conditions. SaniOutlet.nl reserves the right to change its terms and / or conditions after the expiry of the term. 1.3 Unless otherwise agreed, the general or specific conditions or stipulations of third parties are not recognized by SaniOutlet.nl. 1.4 SaniOutlet.nl guarantees that the product meets the contract and meets the specifications listed in the offer. 2.2 Under the rules of distance selling will SaniOutlet.nl orders within 30 days, unless a different delivery period is agreed. If delivery within 30 days or else agreed delivery is possible (because the ordered is out of stock or no longer available), or there is other reasons for delay, or an order can not or only partially implemented, consumers will receive within 1 month after placing the order and in that case he is entitled to cancel the order without penalty. 2.3 The supply obligation SaniOutlet.nl, subject to proof, are satisfied once the once offered to the customer supplied by SaniOutlet.nl. For home delivery extends the report of the carrier, alleging refusal of acceptance, full proof of the offer to deliver. 2.4 All of the Internet site are indicative. At the time limits may therefore not legally binding. 4.1 If there is a consumer purchase, under the Act on Distance (Article 7: 5 BW), the buyer has the right to return (part of) the goods within a period of 14 days without giving a reason. This period begins when the ordered goods are delivered. The customer is obliged, before proceeding to return accordingly within the period of 14 days after receipt of written notice from SaniOutlet.nl. If the customer within the period of 14 days has not reported receipt using the legal right to return, the purchase is a fact. During this period the consumer will treat the product and packaging. He will be the product only to unpack or use the product to the extent necessary to assess the nature, characteristics and functioning of the product. If he exercises his right of withdrawal does, he will return the product within 28 days of receipt to the trader in accordance with the reasonable and clear instructions provided by the entrepreneur. The customer must prove that the goods are returned on time, for example through a proof of mail delivery. Return of Goods must be in original packaging (including accessories and documentation) and in new condition. If the goods are used by the buyer, encumbered or damaged in any way SaniOutlet.nl reserves the right to charge depreciation. Subject to the provisions of the preceding sentence, carries SaniOutlet.nl within 14 days after reception of the return or 14 days after receipt of return (this is the proof of shipment to explicitly state the contents of the return), care repayment. In return the entire purchase will be the full purchase price including any calculated shipping and / or pay expenses cost is refunded to the customer. Upon returning only part of the purchases receive only the purchase price of the returned goods will be refunded. Additional costs due to more expensive than the cheapest shipping method standard delivery are never refundable. The return of the delivered goods is entirely at the expense and risk of the buyer. 4.2 The right of withdrawal does not apply to: · service contracts, after implementation of the service, and only if the performance has begun declared express prior consent of the consumer and the consumer loses his right of withdrawal once the operator has completed the agreement; · Goods or services whose price depends on fluctuations in the financial market outside the supplier's control, which may occur within the withdrawal period · goods made to the consumer's specifications, such as customization, or clearly personalized · have products where the shelf-life within the waiting period of 14 days has elapsed (decay). · Sealed products that are not suitable for health and hygiene reasons to be returned and which were unsealed after delivery · sealed audio / video or software that supports the seal is broken • for goods or services which can not by their nature be returned, for example for hygiene or that spoil or expire · supply of individual newspapers and magazines · Items that fall outside the standard range of Sani Outlet and therefore ordered specially for the customer. 5.2 SaniOutlet.nl respects the privacy of the users of the website and ensures confidentiality of your personal information. 6.1 The company guarantees that the products and / or services meet the contract specifications stated in the offer, the reasonable requirements of reliability and / or usability and the existing legislation on the date of the conclusion of the agreement and / or government regulations. 6.2 By the trader, manufacturer or importer as a guarantee scheme does not affect the rights and claims that consumers in respect of a failure in the performance of the operator obligations to the employer may assert under the Act and / or the distance contract. 6.3 Should the goods delivered wrong, inadequate or incomplete, then the customer (before proceeding to return to SaniOutlet.nl) these defects within 8 days after discovery of the defect to notify in writing SaniOutlet.nl. Return of Goods must be in original packaging (including accessories and documentation). Commissioning after detection of failure, damage occurring after detection of failure, encumbrance and / or resale after detection of failure, does the right to claim and return void. 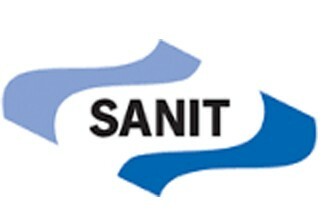 6.4 If the customer complaints are found justified by SaniOutlet.nl, SaniOutlet.nl will free repair or replace the goods delivered to consumer choice. SaniOutlet.nl any liability for damages is limited to a maximum of the invoice amount of the relevant goods, or (at the discretion of SaniOutlet.nl) to the maximum in each case, the amount covered by the liability insurance SaniOutlet.nl. Any liability of SaniOutlet.nl to exclude any other form of damage, including additional compensation in any form whatsoever, compensation for indirect or consequential damages or damages for lost profits. 6.5 SaniOutlet.nl is not liable for damage caused intentionally or equivalent recklessness of non-managerial staff. B) the customer has parried the delivered goods themselves and / or modified or repaired / or modified by third parties. 7.2 Upon acceptance of an offer by the buyer, SaniOutlet.nl reserves the right to revoke the offer within 3 working days of receipt of such acceptance or deviate. 7.3 Verbal agreements SaniOutlet.nl only after an explicit and written acknowledgment. 7.4 All SaniOutlet.nl not automatically apply to repeat orders. 7.5 SaniOutlet.nl can not be held to its offer if the customer should have understood that the offer or contain any part thereof, an obvious mistake or error. 8.1 An agreement between SaniOutlet.nl and a customer can only exist after an order has been reviewed by SaniOutlet.nl feasibility. 8.2 SaniOutlet.nl reserves the right not to accept without giving reasons, orders or contracts or only to accept the condition that the shipment takes place on delivery or prepayment. 9.1 All images; photos, drawings etc . ; including information on weights, dimensions, colors, graphics, labels, etc. on the website of SaniOutlet.nl are only approximate, are indicative and may not lead to damages or rescission of the contract. 10.1 SaniOutlet.nl is not liable if and when she can not be fulfilled due to force majeure. 10.2 Under force majeure is understood to mean any strange reason, and any circumstance, which does not belong to arrive at the risk of reasonableness. Delay or failure by our suppliers, disruptions in the Internet, disruptions in the electricity failures in e-mail traffic and disturbances or changes in any third party technology, transport problems, strikes, government measures, supply delay, negligence by suppliers and / SaniOutlet.nl or manufacturers as well as from individuals, disease, defects in appliance or shipment tools count explicitly as force majeure. 10.3 SaniOutlet.nl reserves the right to suspend the right to its obligations in the event of force majeure and is also entitled to terminate the agreement in whole or in part, or to demand that the content of the agreement is amended so as execution remains possible. In no event shall SaniOutlet.nl obliged to pay any penalty or damages. 10.4 If SaniOutlet.nl in force majeure already partially fulfilled its obligations, or can only partially fulfill its obligations is entitled to invoice the already delivered or deliverable part separately and the buyer is obliged to pay this invoice as were a separate contract. However, this does not apply if the already delivered or deliverable has no independent value. 11.1 SaniOutlet.nl is not liable for damage caused by improper use of the products. Before using the instructions on the packaging and / or consult our website. 12.1 Ownership of all SaniOutlet.nl to the customer sold and delivered goods remains with SaniOutlet.nl long as the buyer's claims SaniOutlet.nl under the agreement or previous or subsequent similar agreements has not satisfied until the customer been, or still to be performed under these or similar agreements have not been met and as long as the buyer's claims SaniOutlet.nl for failure has not yet met in the performance of such obligations, including claims relating to penalties, interest and costs, all as defined in Article 3:92 BW. 12.2 The attack in which SaniOutlet.nl delivered under retention of title may only be part of normal business activities and must never be used as currency. 12.4 The customer gives unconditional and irrevocable consent to SaniOutlet.nl or by appointing SaniOutlet.nl third, whenever SaniOutlet.nl its property to exercise, all those sites and locations where its property is then located and doing business there to take. 12.5 If third parties seize the wish to establish or goods delivered under retention of title or rights, the customer is obliged SaniOutlet.nl as soon as reasonably may be expected to inform. 12.6 The customer is obliged to insure the goods delivered under retention of title and keep them insured against fire, explosion and water damage and theft and the policy of this insurance on first request for inspection to SaniOutlet.nl. 13.2 Disputes arising from an agreement between SaniOutlet.nl and copper, which can not be resolved by mutual agreement, the competent court within the district 't Harde knowledge unless SaniOutlet.nl there prefer the dispute to the competent right of residence of the purchaser to submit, with the exception of those disputes that fall under the jurisdiction of a magistrate.